Every month we shine the light on an Event Greening Forum member who is making noteworthy achievements in their event greening efforts. 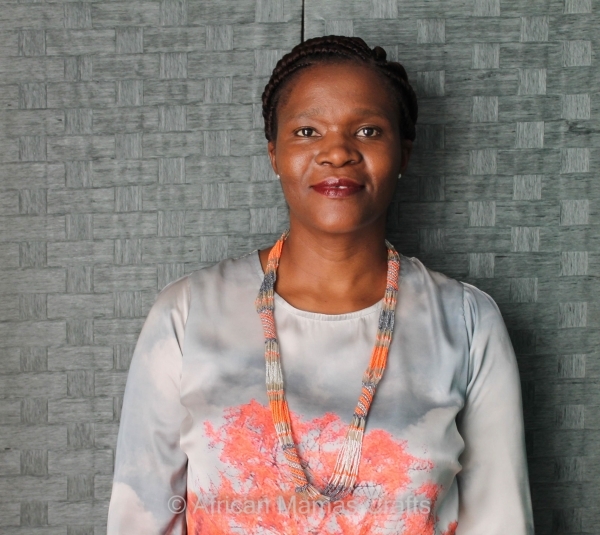 This month we feature Nomaswazi Tinus, who founded African Mama Crafts to tackle social challenges such as unemployment and poverty. Q. WHAT IS YOUR STORY – WHAT LEAD TO YOU FOUNDING AFRICAN MAMA CRAFTS IN 2015? I started the business as a result of a research report I had done as part of my BSc (Hons) Geography studies with UJ looking at the livelihoods of women in informal settlements. Part of the findings were that the “demographic profile of the unemployed in the urban areas of South Africa is poorly educated, unskilled and female.” It challenged me to know this and with my background in planning & development – I knew it was true. So, we work with rural based crafters to create urban-rural linkages which helps to provide income for families and strengthen rural livelihoods. The mamas we work with have a God-given skill of working with their hands to craft beautiful handwoven baskets and beadwork. Of course, the other reason is a love for beautiful crafts & travelling. Q. FOR THOSE WHO DON’T KNOW YOUR COMPANY, CAN YOU BRIEFLY EXPLAIN WHAT AFRICAN MAMA CRAFTS IS AND DOES? We are a formally registered Level 1 BEE company which produces high-quality beaded accessories and gifts for both consumers and corporates. Our accessories range includes beaded neckpieces, bracelets, earrings & rings – and are available in a variety of seasonal colours. Other items within our range include keyrings, beaded lanyards & Christmas ornaments. Our home décor range includes handwoven picnic baskets and recycled telephone wire baskets, plates and bowls. Sustainability is about the 3 pillars of planet, people & profit – often we forget the people. Q. WHAT POSITIVE OUTCOMES ARE ACHIEVED EVERY TIME SOMEONE PURCHASES FROM YOUR COMPANY? The first is that they are buying a beautiful handmade quality product which they will cherish for a number of years. Secondly, they are supporting local manufacturing and economic development as all our items are produced locally and endorsed by Proudly South Africa. Thirdly, is the impact in income in the families and communities we work with – who are able to move from a place of poverty to a sustainable income, dignity and hope. Q. WHAT HAS BEEN YOUR BIGGEST CHALLENGE IN ENSURING YOUR BUSINESS’S SUCCESS WITHOUT JEOPARDISING YOUR IDEALS, AND HOW DID YOU OVERCOME IT? I have an eye for detail – especially when it comes to quality. So initially we had some fights with our production teams on what is an acceptable quality standard. We’ve worked on this and it has improved over time, though we are not there yet. We are working to make sure we have processes & capacity in place to produce large orders within time, budget and quality. In a country like ours with so much poverty and unemployment – imagine the impact it would have if every event hosted supported local SMME’s & communities. I think the Event Greening Forum is doing really good work to create that change. If I had a magic wand – this is the change I would accelerate. Q. WHAT ADVICE WOULD YOU GIVE TO OTHER ENTREPRENEURS, THAT YOU WISH SOMEONE HAD SHARED WITH YOU WHEN YOU WERE STARTING OUT? Success will take much longer, and you will have to work much harder than what you initially anticipated – therefore persevere and never give up on your dream. Take time to build relationships and networks. Q. IF YOU COULD WAVE A MAGIC WAND AND CHANGE ONE THING ABOUT THE SA MICE EVENTS INDUSTRY TO MAKE IT MORE SUSTAINABLE (SOCIALLY, ENVIRONMENTALLY OR EVEN ECONOMICALLY), WHAT WOULD THAT ONE THING BE? I really like the environmental awareness around water issues which the Cape Town water crisis created last year. Everyone came on board to see how they can help save water because day zero was becoming a reality. To a certain extent, I feel that social and economic impact issues within SA MICE have not been as high a priority. In a country like ours with so much poverty and unemployment – imagine the impact it would have if every event hosted supported local SMME’s & communities. I think the Event Greening Forum is doing really good work to create that change. If I had a magic wand – this is the change I would accelerate. Q. ANY FINAL WORDS YOU’D LIKE TO SHARE WITH OUR READERS? Sustainability is about the 3 pillars of planet, people & profit – often we forget the people. Collectively, we need to think more about how we bring in people and local communities so we can be economically inclusive. To learn more about African Mama Crafts, you can view its EGF member profile here.